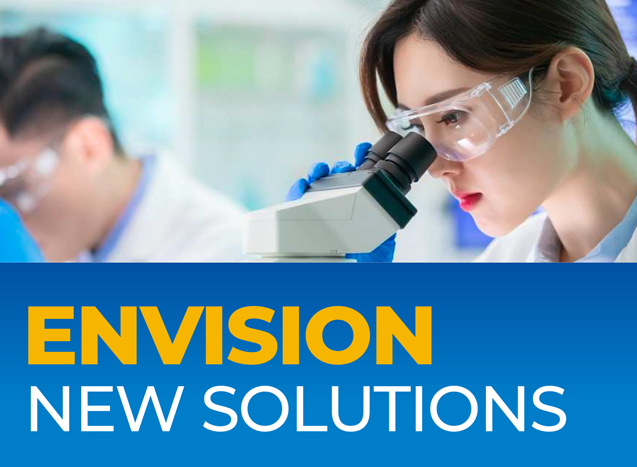 Santen is committed to developing new therapies, devices, and other solutions to serve significant unmet needs in ophthalmology and to fuel hope for physicians and patients facing the possibility of vision impairment or loss. Our US headquarters is an important part of Santen’s global R&D development effort, allowing us to ensure the highest quality standards and an efficient process for developing differentiated ophthalmology solutions.  The following is a summary of products and devices currently in development in the United States. 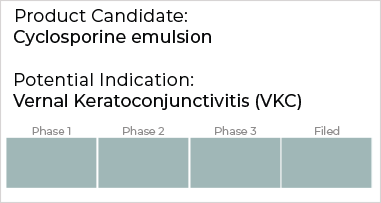 An mTOR inhibitor and first-in-class immunoregulator that is being developed for non-infectious uveitis of the posterior segment (NIU-PS). It is supported by data from the SAKURA Program, the largest Phase 3 global clinical program to date evaluating patients with NIU-PS. The SPRING study is an open-label, long-term extension study with IVT sirolimus (440 µg dose) for subjects who participated in the SAKURA study and received clinical benefit. 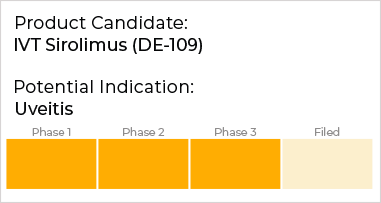 A proprietary anti-endoglin antibody administered via an invitreal injection that is being investigated for the treatment of wet age-related macular degeneration. In-licensed from TRACON Pharmaceuticals. A glaucoma drainage system intended for reduction of intraocular pressure (IOP) in eyes of patients with primary open-angle glaucoma where IOP remains uncontrollable while on maximum tolerated medical therapy and/or where glaucoma progression warrants surgery. 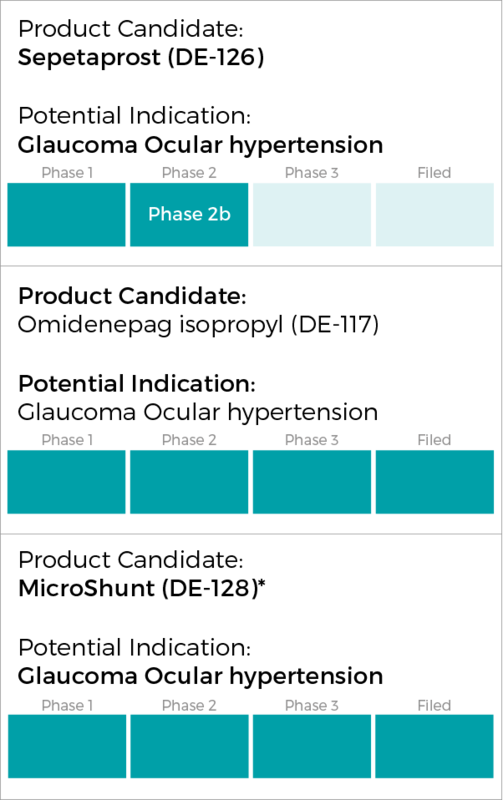 The MicroShunt® received a CE marking in January 2012 and was added to the Santen pipeline via acquisition of InnFocus, Inc.
A non-prostanoid selective EP2-receptor agonist in a topical ophthalmic solution being investigated for reduction of elevated intraocular pressure in patients with ocular hypertension or open-angle glaucoma. A prostaglandin eye drop product with a novel mode of action that is both an FP- and EP- receptor dual agonist being developed for the treatment of ocular hypertension and glaucoma. In-licensed from Ono Pharmaceuticals, Inc.
A topical ophthalmic emulsion with a unique technology to enhance ocular tissue absorption to improve signs and symptoms of dry eye via immunosuppressive effect. Ciclosporin emulsion is approved in several European markets for the treatment of severe keratitis in adult patients with dry eye disease. It also completed a Phase 2 trial in the United States. © Santen Inc. All rights reserved. Click continue to visit the Santen Worldwide page you selected. Click continue to visit the external page you selected.